If you want to feel more stylish every day, I personally think cultivating your signature jewelry look is the easiest way to get started. A plain white tee and jeans can look fabulous with the right layered necklaces and a few rings or bracelets. Our market editor, Nicole Akhtarzad, is an expert on cultivating her signature jewelry style and recommends mixing high and low finds for a look that is lasting but not stuffy. I’ll add that you should start with low, whether your budget demands it or you’re just starting to wear more jewelry. If you start by purchasing affordable jewelry under $99, you can test out what pieces you find yourself reaching for again and again and then invest in fine jewelry versions down the line. With that strategy in mind, I curated 47 of the best affordable picks on the market, conveniently divided into categories. Since earrings and necklaces are at the top of most of our wish lists at the moment, we started with those beloved buckets. Scroll down to start shopping! Fun fact: This brand uses eco-friendly metals. 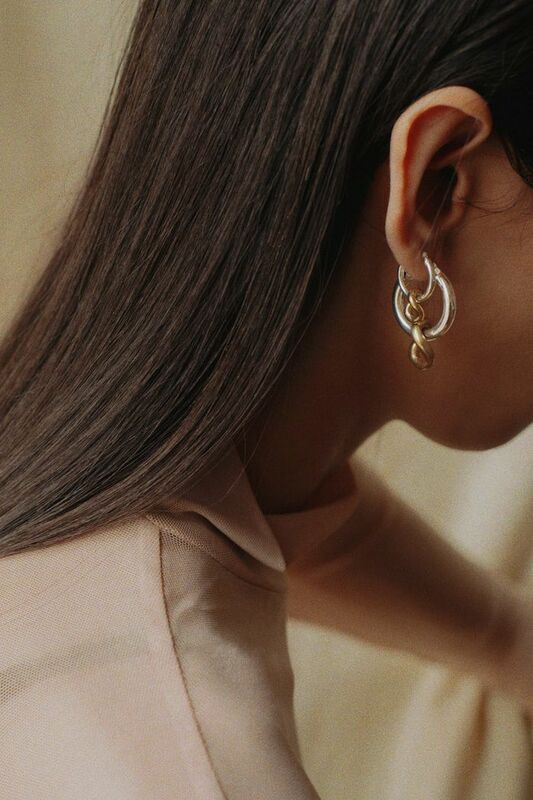 All of the earrings from this brand are handmade in Los Angeles. Not your average gold earrings. This earring gives the illusion that you have two piercings. Magic. An asymmetrical earring look is still a fashion-girl favorite. Can't beat the price on these sliver-thin hoops. At first glance, you may not notice that the bronze drops are actually little bodies. Pixie Market jewelry always sells out quickly. Winden also has the yen sign, if you prefer. We know gold is super popular right now, which may be even more of a reason to reach for silver. Banana Republic with the work earrings! Madewell jewelry always has a touch of whimsy. Acrylic earrings are everywhere. We even have a Pinterest board dedicated to them. If you don't have a pair of hoop earrings yet, start with this trusty pair. Eighties jewelry is slowly taking over, and we're not mad about it. Pendants are hands down the biggest trend in necklaces right now. Roxanne Assoulin is a WWW editor favorite. Imagine this necklace worn backward with an open back. A little breather from all the gold necklaces. Good luck in necklace form. This looks way expensive for $14. Whoa, Mango—way to impress us. In case you didn't get a chance to try summer's biggest jewelry trend. Tiny angels on your neck. Our managing editor turned us all onto this affordable jewelry brand. These look pretty damn expensive. The little gemstone makes it. Sculptural jewelry at its best. There's something special about this signet. We have a hunch bangles like this are coming back in style. Wouldn't this look lovely on your wrist? Since our hair accessories are reverting back to kindergarten with hair clips and headbands, we don't see why our jewelry can't too. Pair this with a gold watch. I own this anklet and get tons of compliments on it. Layer this dainty one on top of the thicker "dad" chain. That's a wrap! Next up, check out how under-$50 Zara picks look IRL.